It was raining this morning when I looked out at a large old Ponderosa that stands between my house and Cascade Lake. 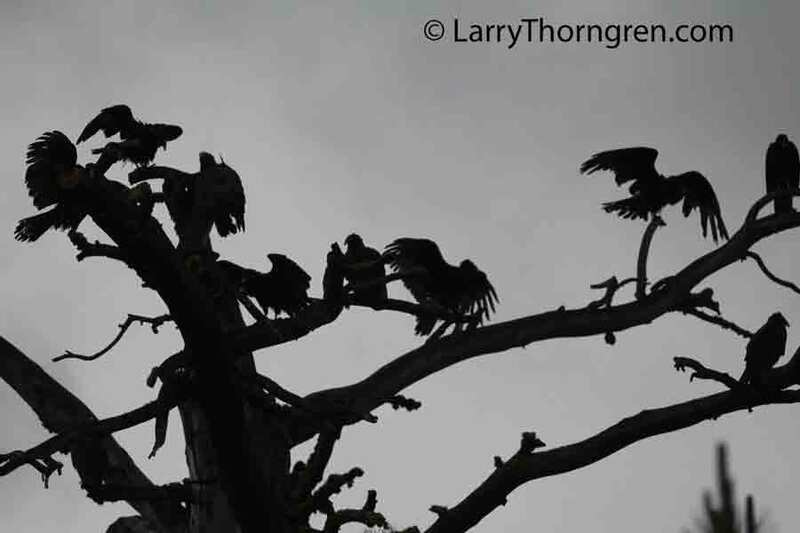 There were 12 Turkey Vultures sitting out the rainstorm and I was able to get this photo of 8 of them without getting wet. I don't know if it was hard to fly with no thermals or what, but they left a few hours later when it warmed up some.